We have to admit that when we first heard the tag ‘Progressive Rock Opera’ we were scared. Rock and opera rarely mesh together well – but on this occasion it’s thankfully a triumph of genre mashing! With the taut rock chords of the best harder edged rock and vocals that soar into places that most rock singer can only dream of this is a record that is at first quite jarring to the senses. Opener Her Fantasy Land recalls the time when bombastic metal was in vogue and also asks you to question if it was ever that bad in the first place. The piano and unique vocals mix well and once you forget the genre tags that bind you start to enjoy it a whole lot more. The same goes for the whole record as well – its music that is seemingly designed to be performed on a stage with a hidden orchestra and a virtuoso guitarist with the power to say much with small sections of chord action. That is no bad thing, either. 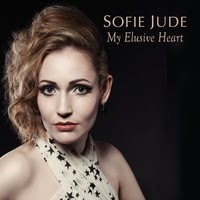 The core of Sofie Jude’s music is, following a good listen, her stunning voice. It is a voice with gothic undertones that should be out on many more stages being appreciated by many more people. Just A… proves this point with a powerful ease – the vocals are notable but it’s also the words themselves that impress. With a dramatic tone, perfect for the much mocked (and undeservedly so) rock opera genre the listener may well find themselves spellbound as the music spreads around. Notable tracks include the dramatic Sheer Rage, with a killer chorus to boot, and the powerful title track – on which the dramatic promise of the album comes to life superbly. Things may get calmer as the album proceeds to its inevitable end but there is still a feel of purpose and drama to be found and when the climatic Carry On Regardless concludes the album the chorus states ‘there wasn’t a day I would ever take back’ and when you really sink your teeth into the sounds on My Elusive Heart you really don’t have any regrets.